Graves’ disease is a common autoimmune disease that is a candidate for the development of Ag-specific immunotherapy because Graves’ hyperthyroidism is caused by autoantibodies to a single autoantigen, the thyrotropin receptor (TSHR). In a mouse model of induced hyperthyroidism, pretreatment with recombinant TSHR protein provided encouraging results by causing diversion of anti-TSHR Abs from a pathogenic to a nonfunctional variety. However, Graves’ disease develops spontaneously in humans, so Rapoport et al. (p. 4560) assessed the effects of TSHR protein treatment in a spontaneous mouse model of hyperthyroidism, NOD.H2h4 mice with thyroid-specific transgenic expression of the human TSHR (hTSHR) A-subunit protein. Treatment of these mice with recombinant hTSHR A-subunit protein specifically augmented the production of nonpathogenic anti-TSHR Abs; however, these nonpathogenic Abs were also observed at even higher levels in nontransgenic NOD.H2h4 mice and wild-type BALB/c mice treated with this protein. 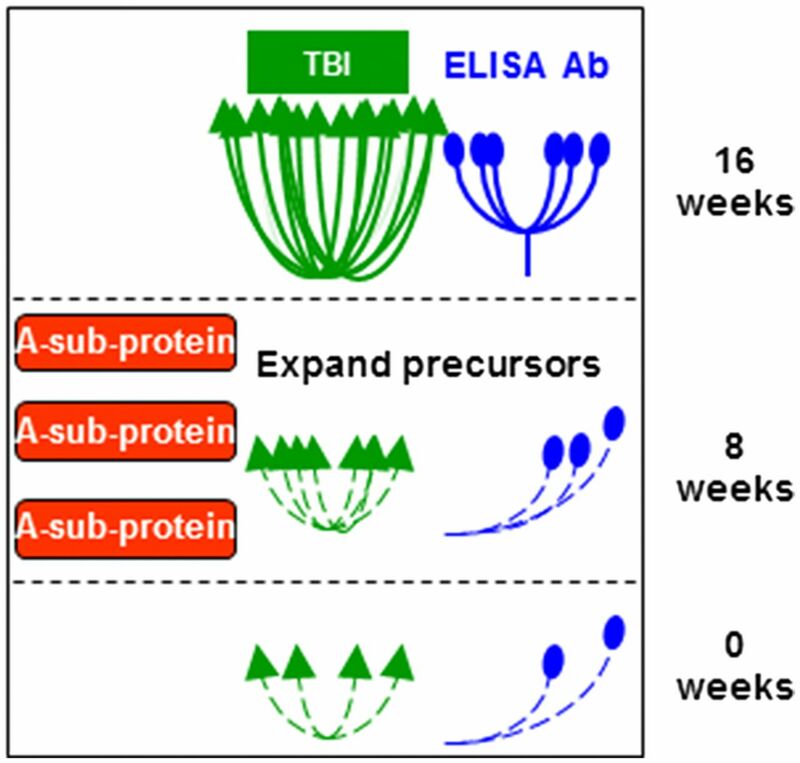 Because the transgenic mice were found to express hTSHR A-subunit protein intrathymically, the reduced level of nonpathogenic Abs in these mice was suggested to indicate increased tolerance for this protein, relative to nontransgenic mice. Even more surprisingly, treatment of the hTSHR/NOD.H2h4 mice with hTSHR A-subunit protein augmented production of pathogenic anti-TSHR autoantibodies as measured by clinical assays for TSH-binding inhibition and thyroid-stimulating Ab activity. In contrast, pathogenic anti-TSHR Abs were not observed in control BALB/c or NOD.H2h4 mice treated with the hTSHR protein. This study emphasizes the differences between induced and spontaneous models of autoimmunity and clearly warns against the use of this TSHR protein as a treatment for human Graves’ disease. Neutrophils play a significant role in the pathology of rheumatoid arthritis (RA), as Fcγ receptor- (FcγR)-mediated activation of neutrophils by immune complexes (ICs) that have accumulated in the joints leads to the release of inflammatory mediators that not only degrade surrounding tissues, but also recruit additional immune cells to drive the chronic inflammation that is characteristic of the disease. Protein tyrosine phosphatase nonreceptor 22 (PTPN22) is associated with an increased risk of RA, but despite being highly expressed in neutrophils, its function in these cells remains poorly characterized. In this issue, Vermeren et al. (p. 4771) work to close this knowledge gap by analyzing the role of PTPN22 in neutrophil function and autoimmune disease. When compared with wild-type (WT) controls, fewer bone marrow–derived neutrophils from PTPN22-deficient (Ptpn22−/−) mice were able to adhere to immobilized ICs despite showing no changes in surface expression of FcγRII/III or integrin receptors. Additionally, Ptpn22−/− neutrophils demonstrated significant reductions in IC-induced degranulation and generation of reactive oxygen species, suggesting that PTPN22 is required for optimal neutrophil effector functions downstream of FcγR engagement. Given that PTPN22 is a tyrosine phosphatase, the authors examined the phosphorylation status of key neutrophil FcγR signaling proteins and found that that tyrosine phosphorylation of Syk and Lyn was increased in Ptpn22−/− neutrophils when compared with WT controls. Following stimulation with ICs, and in comparison with similarly treated WT neutrophils, Ptpn22−/− neutrophils showed reduced phosphorylation of key signaling intermediates downstream of Syk, including Akt, Erk, and MAP. To address the role of neutrophil PTPN22 in vivo, serum from arthritic K/BxN mice was transferred into Ptpn22−/− mice to induce arthritis and, compared with WT controls, Ptpn22−/− mice were protected from inflammatory joint disease. Finally, neutrophils from Ptpn22−/− mice demonstrated normal chemotaxis and transendothelial migration, and demonstrated no defect in neutrophil recruitment to the peritoneum following thioglycollate-induced peritonitis. Taken together, these observations suggest that while PTPN22 does not regulate neutrophil functions such as chemotaxis, recruitment, or transendothelial migration, it does play a role in downstream signaling events following FcγR activation, and these events may promote the progression of RA. Type I anti-CD20 IgG1 mAbs, including rituximab and ofatumumab (OFA), deplete tumor cells in CD20+ B cell malignancies via mechanisms that include complement-dependent cytotoxicity (CDC). This CDC involves the classical pathway of complement activation and is initiated by binding of complement component C1q to the CH2 domain of the mAb Fc region. In this issue, Engelberts et al. (p. 4829) were surprised to find that F(ab′)2 fragments of anti-CD20 mAbs, despite their inability to bind C1q, could still induce CDC of B cell lymphoma cells. Both anti-CD20 F(ab′)2 fragments and intact anti-CD20 mAbs lacking the C1q binding site induced CDC in human serum, albeit at a lower level than the CDC induced by wild-type anti-CD20 mAbs. This reduced CDC was termed accessory CDC and was shown to occur, like that caused by intact mAbs, via the classical pathway of complement activation. The authors hypothesized that accessory CDC used an alternative binding site for C1q near cell surface-bound CD20 and found that accessory CDC, but not CDC mediated by intact OFA, required BCR expression and was particularly efficient in cell lines expressing an IgM BCR. 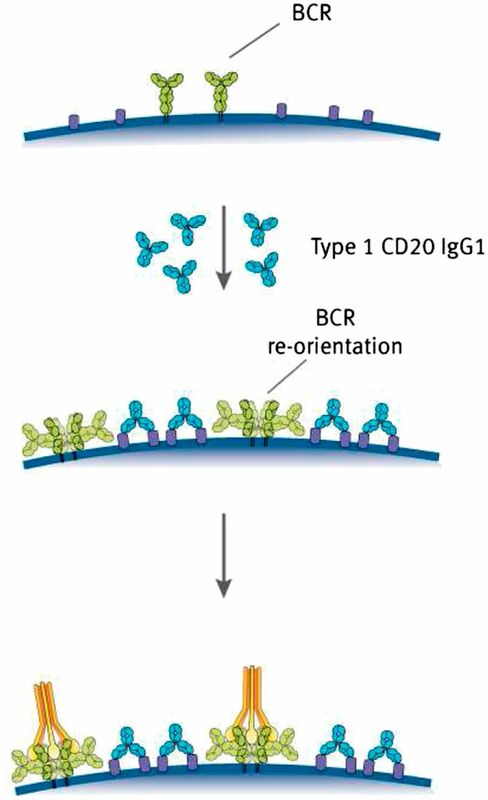 Type I anti-CD20 mAbs can induce interaction between CD20 and the BCR, and accessory CDC thus was proposed to occur via C1q binding to the Fc region of the BCR following BCR clustering. Indicating the relevance of these data to clinical applications, ex vivo OFA-F(ab′)2 treatment of PBMCs from patients with mantle cell lymphoma or Waldenström’s macroglobulinemia resulted in killing of tumor cells, although this was not observed with cells from individuals with chronic lymphocytic leukemia. This study identifies accessory CDC as a BCR-dependent mechanism that supports anti-CD20 mAb–mediated CDC and may contribute to the high therapeutic efficacy of type I anti-CD20 mAbs. Mycobacterium tuberculosis, a major global health threat, initially infects alveolar macrophages (AMs), an immunoregulatory cell subset. 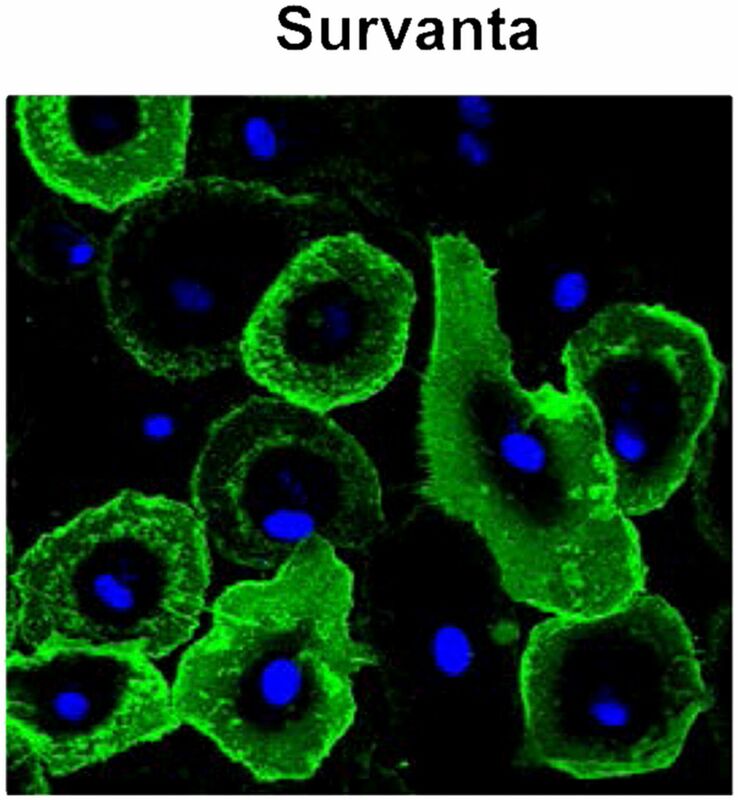 Surfactant, a lipid-protein complex key to lung function, regulates the activity of these cells, and AMs, conversely, are important for surfactant homeostasis and lipid catabolism. In this issue, Dodd et al. (p. 4727) sought to clarify the mechanism by which AMs take up surfactant and to determine the relationship of surfactant uptake to M. tuberculosis pathogenesis, because this bacterium can use lipids like surfactant components as carbon sources. For most of this study, human monocyte-derived macrophages (MDMs) were used instead of AMs due to difficulties accessing and working with human AMs. Treatment of MDMs with surfactant resulted in redistribution of the scavenger receptor CD36 to the cell surface and increased CD36 expression. Supporting the idea that CD36 could serve as a macrophage receptor for surfactant, knockdown of this receptor in MDMs resulted in specifically impaired uptake of dipalmitoylphosphatidylcholine, which makes up ∼ 40% of the total lipids in surfactant. M. tuberculosis was found to have a significant growth advantage in MDMs cultured with surfactant lipids, relative to cells cultured in the absence of surfactant, and this advantage required CD36 expression. In addition, MDMs cultured in the presence of surfactant lipids prior to infection with M. tuberculosis demonstrated impaired secretion of TNF-α, suggesting that antibacterial host responses were impaired by surfactant exposure, although this effect was CD36 independent. While these mechanisms must still be confirmed in AMs, the data in this manuscript demonstrate that CD36 mediates at least some of the uptake of surfactant lipids by MDMs, and these lipids confer a growth advantage to M. tuberculosis. This insight into M. tuberculosis pathogenesis advances our understanding of the interactions between this pathogen and the lipid-rich lung environment, with potential applications to future studies of this dangerous disease.